BCB, a distributed P2P payment platform based on blockchain technology, has recently taken root in the Southeast Asian market to deliver interactive online and offline applications to the retail, food & beverage, and entertainment industries. Developed and operated by the BCB Global Payment Company, the BCB platform is committed to developing blockchain-based payment platforms in Southeast Asia in order to provide a transparent and efficient ecosystem of electronic assets to retailers and consumers worldwide. 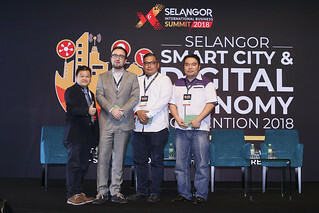 The popularity of BCB in Southeast Asia is closely connected to the current development phases of the financial sector and mobile Internet in the region. Aside from Singapore, Southeast Asia as a region has a comparatively backward financial infrastructure, and an incomplete traditional financial system that hinders access to basic financial services. BCB aims to resolve these common challenges that are prevalent in the payment industry in developing countries, including the lack of transparency, poor security performance, high inflation risk, and low efficiency. To mitigate these issues, BCB supports real-time cross-border payments that significantly reduces payment costs and mitigates exchange risks. Unlike other blockchain-based technology projects, the BCB ICO has already been successfully completed, thereby connecting the BCB coin to the real economy, making it increasingly recognised among communities for its market value. According to Chinanews.com, on 22 January 2018, the China Charitable Foundation organised an opening ceremony in Manila, Philippines where 10,000 BCB coins were donated. This donation not only accentuates the wide recognition of BCB coins and their value in Southeast Asian communities, but also realises BCB’s positive contribution to society and its grand vision to provide mankind with a better life. 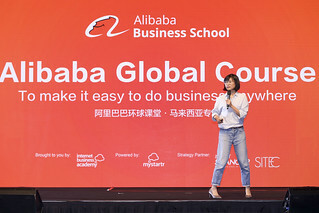 According to Google’s trend and research report, the Internet-driven economy in Southeast Asia will reach USD 200 billion by 2020, most of which will focus on mobile Internet businesses. By integrating blockchain technology into smart contracts, the BCB platform supports free trade and facilitates payments between a wide range of participants involved in an Internet-based economy. The establishment of the blockchain-based payment platform represents another successful example validating the development of Southeast Asia while corroborating rumors that the technology industry in Southeast Asia is just one giant “gold mine”. 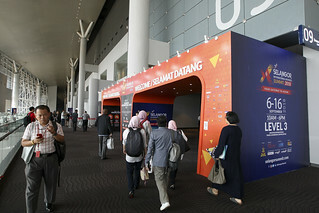 In the next few years, the technology industry in Southeast Asia will bring us greater surprises. BCB is a decentralised P2P payment platform, which eliminates all third part payment providers in the retailer — customer relationship. Designed as a user-centric exchange for mainstream adoption, BCB increases transparency and allows secure payment between retailers and participants on a global scale. For more information, proceed to their website here.